John Weber returned for a second look at the club. Chuck Boots has a birthday today but was absent from lunch. Rick McKernan suggested folks could call and wish Chuck a happy birthday. Mystery Person – Scott Stager awarded today’s gift certificate to Ed Harre for the work he does on the Koeze Nut and Restaurant certificate fundraisers. Food Bank – Jim Murphy reported the Food Bank is open for volunteer after spending 2 week training volunteers. E MO 1st Qtr Convention – Moberly, Oct 27 – 28th – Need attendance. Location: Comfort Inn, 1801 W. Outer Road, Moberly. Registration form to be emailed with the Newsletter this week. Or let Ed or C.O know by Oct 8th for the early discount. 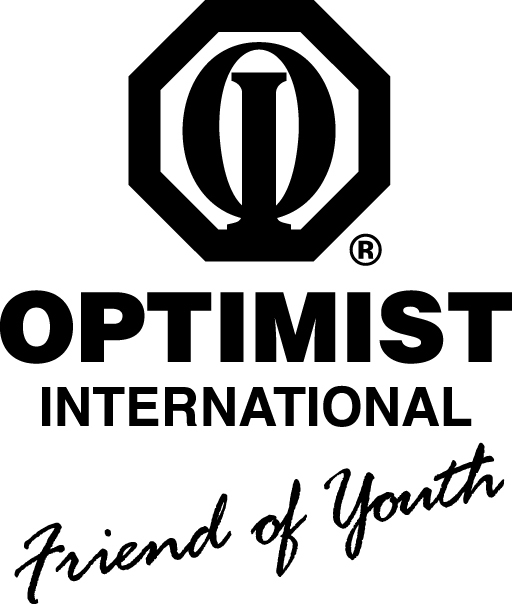 Program to be “Optimist Strong” training by Bob Schiller, Certified International Trainer. Let C.O. Scheffer know as soon as possible if you can go. Reminder FY18 Membership Dues need to be current for all members. Work Day John Sapp announced the need for a work day at the clubhouse to clean the grounds and repair tree stands. He will provide more information next week. Steve Winters volunteered the 2 x 8 lumber and hardware will be delivered and ready for a Saturday morning Oct 14 work-day. He and Chuck Boots will have the lumber cut to appropriate lengths. Some volunteers will bring sockets, open-end wrenches and drill bits (the club has cordless drills at the clubhouse). Volunteers can bring their own gloves and ear protection. Phil Rodriquez is one of the club’s newest members. He moved here from Kansas City. He had also lived in St. Louis for 15 years. Phil is originally from St. Joseph, MO where his grandparents and great uncle had immigrated to this country from Mexico where they established the restaurant, Barbosa’s Castillo in a former mansion, and worked hard to become naturalized American Citizens. Phil described the restaurant in the 3-storey mansion where all the food is prepared from scratch. The family started “Fiesta Days” in St. Joseph where his grandmother was the first Fiesta Queen. Phil described his family as proud Americans, grateful for the opportunities provided by this country and having a long history in support of the American military. Phil married his high school sweetheart. They have four children ranging in age from 11 to 22. The three younger kids are enrolled in Columbia Public Schools. The 16-year old is a sophomore at Rock Bridge H.S. The 11 and 14-year old kids are a Gentry Middle School. Phil’s wife works from home as a Senior Account Annalist for Edward Jones. She also has served in the National Guard for the past 25 year achieving the E-8 status. Phil is a Project Estimator for Backer R & S. Two of their sons are almost Eagle Scouts while his daughter is in the American Heritage Girls. Phil proudly remarked his family will be debt free next month after paying off $100,000 in loans for their education and a car. This has involved many sacrifices along the way. Phil enjoys the outdoors. He likes to fish. He worked the Beer concession at the recent Roots and Blues Festival. Oct 16- Jane Whitesides, MO Symphony.